On this album, I took a few steps backward, but I also took a bunch of steps forward because I had a lot of time to concentrate on it. I also had the band sounding like I want it to sound. It’s got that organ sound from ‘Blonde on Blonde’ again. That’s something that has been missing. Jonathan Cott: What do you think of all the criticisms of Street Legal? 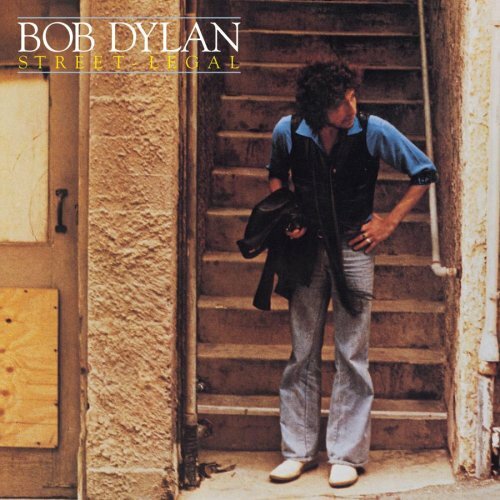 Bob Dylan: I read some of them. In fact, I didn’t understand them. I don’t think these people have had the experiences I’ve had to write those songs. The reviews didn’t strike me as being particularly interesting one way or another, or as compelling to my particular scene. I don’t know who these people are. They don’t travel in the same crowd, anyway. So it would be like me criticizing Pancho Villa. First of all… “Street-Legal” is a fantastic album. I have never “understood” all the criticism it got.. and still gets, and I even dig the original overall sound & production. The first & second recording session (April 25 & 26) did not produce much (probably only a master of “We Better Talk This Over”), but on this sessions we (probably) got 4 masters: No Time To Think, Where Are You Tonight? (Journey Through Dark Heat), True Love Tends To Forget & Changing Of The Guards. Today I’m accused of being a follower of religion. But I’ve always been a follower! My thoughts, my personal needs have always been expressed through my songs; you can feel them there even in ‘Mr Tambourine Man’. When I write a song, when I make a record, I don’t think about whether it’ll sell millions of copies. I only think about making it, the musical end-product, the sound, and the rhythmic effect of the words. It’s purely a technical piece of work because the most important thing is to come out with something that’s perfect artistically. Even Charlie Chaplin used to say that and I respect him for that judgment. And it’s this dishonesty, this unhelpful concealment of the soul when we most needed to know what was going [on] inside the man, which hurts the hardest… …. His handling of matters spiritual is bad enough, but when he applies himself to more worldly topics he’s frighteningly inflammatory and positively dangerous..
On the 4th recording session we got 2 new master versions… one of them “Slow Train” is i fact the best song from the album. The other is also among the best: “I Believe in You“. It’s in my system. I don’t really have enough time to talk about it. If someone really wants to know, I can explain it to them, but there are other people who can do it just as well. I don’t feel compelled to do it. I was doing a bit of that last year on the stage. I was saying stuff I figured people needed to know. I thought I was giving people an idea of what was behind the songs. I don’t think it’s necessary any more. When I walk around some of the towns we go to, however, I’m totally convinced people need Jesus. Look at the junkies and the winos and the troubled people. It’s all a sickness which can be healed in an instant. The powers that be won’t let that happen. The powers that be say it has to be healed politically. 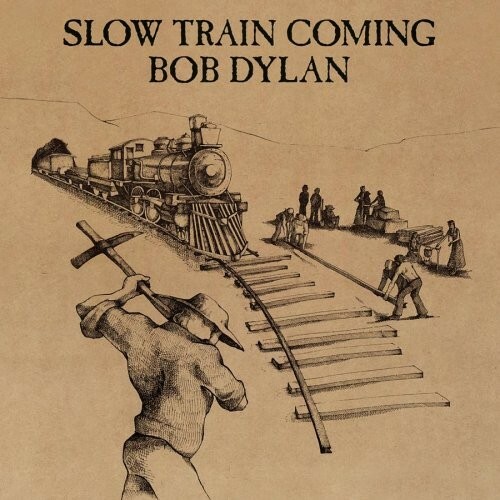 Slow Train Coming was a collection of songs Dylan had originally intended to donate to backing singer Carolyn Dennis. 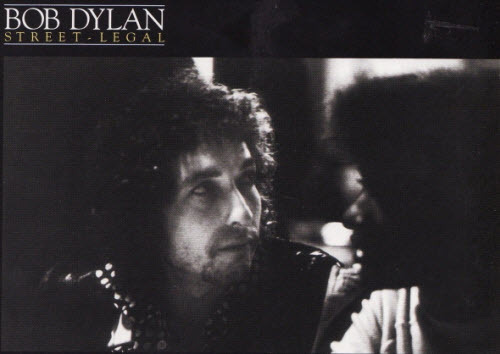 The first 2 recording sessions for “Slow Train Coming” had only resulted one master take for the album – Precious Angel (recorded the previous day).